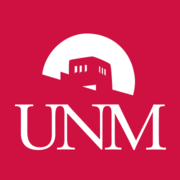 The University of New Mexico is a public research university located in Albuquerque, New Mexico, in the United States. Administración Estratégica y Emprendedora via Coursera 6 weeks long 6 weeks long 29th Apr, 2019 No reviews yet. Negocios Internacionales I via Coursera 6 weeks long 6 weeks long 6th May, 2019 No reviews yet. International Business I via Coursera 6 weeks long 6 weeks long 6th May, 2019 No reviews yet. Negocios Internacionales II via Coursera 6 weeks long 6 weeks long 13th May, 2019 No reviews yet. Desarrollo de Aplicaciones Web: Conceptos Básicos via Coursera 5 weeks long 5 weeks long 22nd Apr, 2019 No reviews yet. 31st Aug, 2015 No reviews yet. Web Application Development: The Data Tier via Coursera 1st Apr, 2016 No reviews yet. Desarrollo de Aplicaciones Web: Nivel de Presentación via Coursera Apr, 2016 No reviews yet. Desarrollo de Aplicaciones Web: Prueba y Despliegue via Coursera May, 2016 No reviews yet. Web Application Development – Capstone Course via Coursera 1st Aug, 2016 No reviews yet. Curanderismo: Traditional Healing Using Plants via Coursera 5 weeks long 5 weeks long 10th Mar, 2019 No reviews yet.